Hey guys, as I mentioned in my last post on the Unity Hackathon, I’m making a game for the Construct2 GameJam on Newgrounds. I can officially announce some information of the game! The game sets you the task of defending a city from a fireworks display, sabotaged to act as homing missiles to kill all the citizens below. The game uses touch control to detonate the fireworks before they hit the ground, and power ups to help you as the amount of fireworks pile up to an enormous amount! Good news is that most of the game is already finished and working. Bad news is that at the moment, I have no music, sound effects are generated from DrPetter’s SFXR and the only artwork I have are temporary stuff I’ve drawn, and I’m not a great artist. What I’d like is artwork and animation, as well as music to make the game look as great as possible. Fortunately, I have a whole month to get it sorted, but not without someone or some people willing to contribute to this game. Since it is more of a hobbyist project, I cannot offer payment, but the game will be released on Newgrounds.com, a large and popular community for art, animation and music, and will also be on Windows 8 and Windows Phone 8, meaning you can have a digitally released title on both PC and phone on your portfolio! As of writing I’ve just arrived home from the London. Microsoft’s Lee Scott and Simon Michael organised a two day (15 hour) hackathon, where we have the goal of making a simple and fun game in Unity for Windows 8, all part of the Windows Games Ambassador Scheme. All this took place at Modern Jago, one of the Microsoft establishments for app developers to work on titles and get advice for their work. 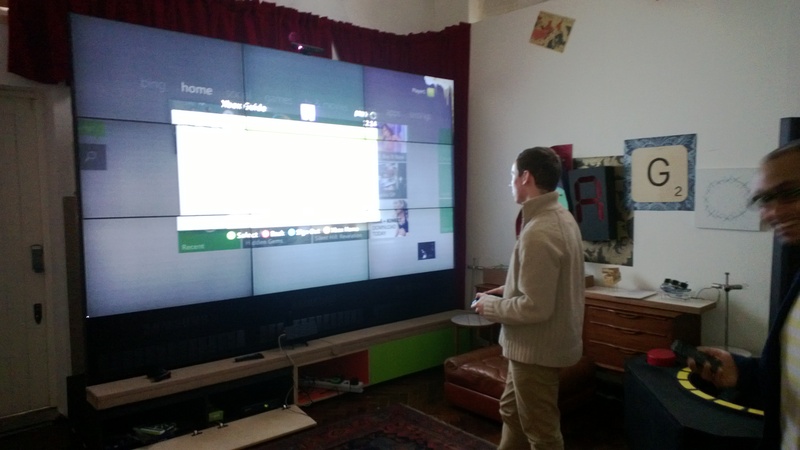 The layout of the place, as well as the design is very artistic and clever, and they have a lot of tech to play around with, including a 9 panel screened Xbox 360! 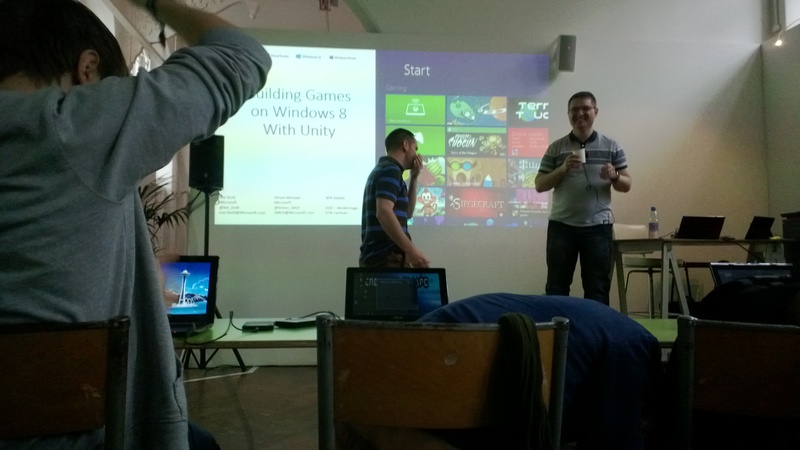 After an overview on what all the ambassadors have been up to and what games they’ve made, we also got shown what things Unity have that will make it possible for Windows 8 and Windows Phone 8 development. Then it was on with the hackathon, we got into pairs and started building! I worked with fellow games ambassador Ben Beagley for our game. Check it out here! All future posts made on this blog will be notified through facebook on this page now, hopefully I can get my name out further with this! Hey guys, I decided to make a quick update to my Game of Life game! It’s currently on the Windows 8 store, thanks to MonoGame for the easy porting process, and I’m currently working on a Windows version for none Windows 8 users. As you can tell, I’ve simplified the interface, and the Windows 8 version also includes touch controls for drawing and buttons. The keyboard commands still work (Z, X, C and Space) as well as mouse controls. I’ve also made it possible to change the orientation and resolution, and therefore, change the size of the grid as well. In the regular Windows version I’ll probably change this feature so you can resize the Window, since you aren’t forced into fullscreen. Check out the Windows 8 store version here!